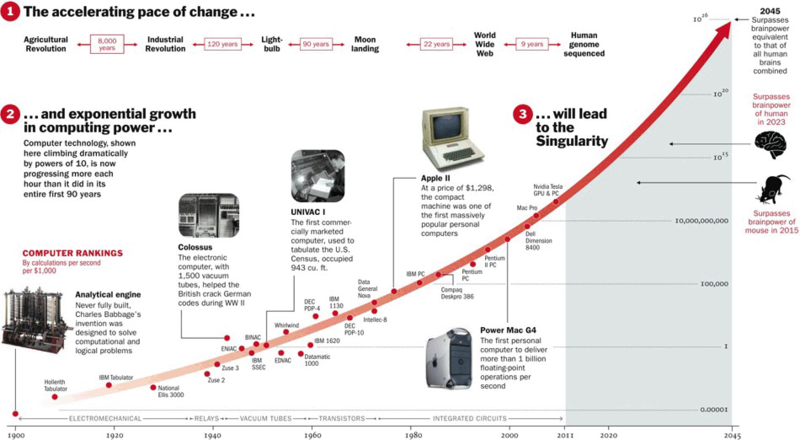 I think the end of Moore’s Law, as I have defined the end, will bring about a golden new era of computer architecture. No longer will architects need to cower at the relentless improvements that they know others will get due to Moore’s Law. They will be able to take the time to try new ideas out in silicon, now safe in the knowledge that a conventional computer architecture will not be able to do the same thing in just two or four years in software. And the new things they do may not be about speed. They might be about making computation better in other ways.